The hunt for the mixed reality use-case that wins over consumers' hearts and creates a critical mass is a problem every developer would love to solve. Not only would they find themselves rich and famous seemingly overnight, but they would also end up making one of the various possible hardware solutions a viable place for other developers to put their time and energy. As it currently stands, many of the people manufacturing hardware are pushing for developers to come up with enterprise solutions. And there are plenty of reasons for this that make sense. The cost of the hardware and current lack of software — beyond a series of elaborate demos — makes it unreasonable for a consumer to spend anywhere from $1.000 to $5,000 on an AR/MR headset. Businesses can not only afford these solutions but already gain a great deal of efficiency in the process. 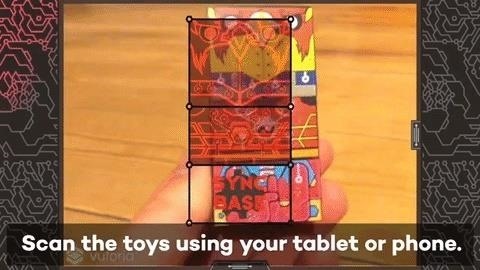 So how can developers begin that push to reach a consumer critical mass with AR/MR now? As the industry witnessed with Pokémon GO, one solution that currently exists for developers that want to make software in this space — use the hardware consumers already have. Thanks to platform solutions like Unity and Vuforia, this is not only possible but makes the process fairly easy and far less of a gamble. This is the path that Liverpool, UK-based Draw & Code took with their newest product, SwapBots. SwapBots, a recent successfully funded Kickstarter project, is a rather simple concept. For $20, the end-user will get a collection of 9 inter-connectable blocks. The combination of blocks will make a number of characters and many accessories. Now, by itself — especially for the price point — this sounds like it could be a complete toy. Of course, here is where the technology comes in. 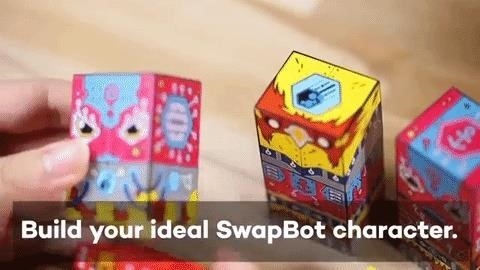 Powered by Unity and Vuforia, SwapBots allow the user to scan in their combination of SwapBots blocks using a smartphone or tablet camera and the free SwapBots app installed. Once this scan is complete, the user can see their character come to life, complete with animated accessories and effects. This gives a whole new dimension to playing with action figures. Aside from your standard "free play" for the child that wants to make up their own stories with their characters, the app also has mini-games that can be played solo or online against other players. In these games, the combinations of blocks go beyond determining the characters accessories — they determine their powers as well. 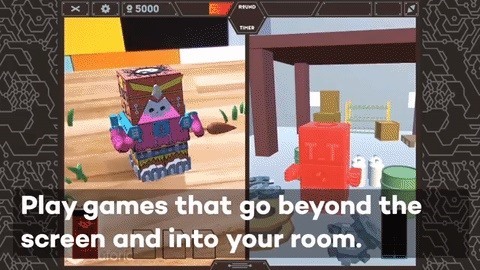 Unlike Skylanders and Nintendo amiibos, whose characters can be stored away once they are scanned, the physical SwapBots characters are not passive elements in the app. Vuforia is doing its job in real time, using the blocks themselves as a frame of reference. I would also assume that since this works without sensors like the Structure or Tango, that they are using the underside of the bottom block as the ground plane reference. Vuforia does have a basic smart terrain that could be used, but using the model seems a far more simple, less CPU intensive way to find the table surface. That said, I can imagine a few edge-case hiccups from that set up as well. Could this or a similar project help bring an understanding of the power of mixed reality to the masses? While Pokémon GO was augmented reality, it was not mixed reality, and that distinction, in my mind, will make a major difference. At least for long-term adoption for this kind of technology. The added sense of presence and interaction with the world is a game-changer. I will anxiously watch as this product makes it out into the world later this year. And at the $20 price point (you can preorder on Indiegogo), I will likely be giving a few of these out to some kids I know for Christmas presents. That said, part of me hopes that SwapBots becomes the hot new toy of the year ... so much so that I can't get a hold of any. Not only is it a good idea with great looking execution, its popularity would bring us a few steps closer to the future every mixed reality developer sees. I'm looking for that HoloLens port. What kind of experiences do you see helping to break mixed reality into the mainstream? Let us know in the comments below.